This No. 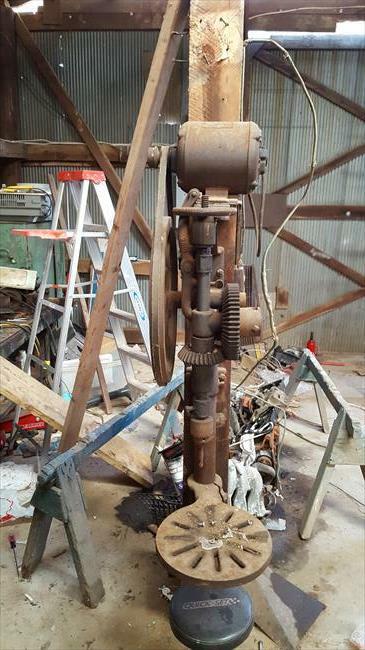 24 post drill belongs to Joe Fleace, who gave us permission to post his pictures here. The No. 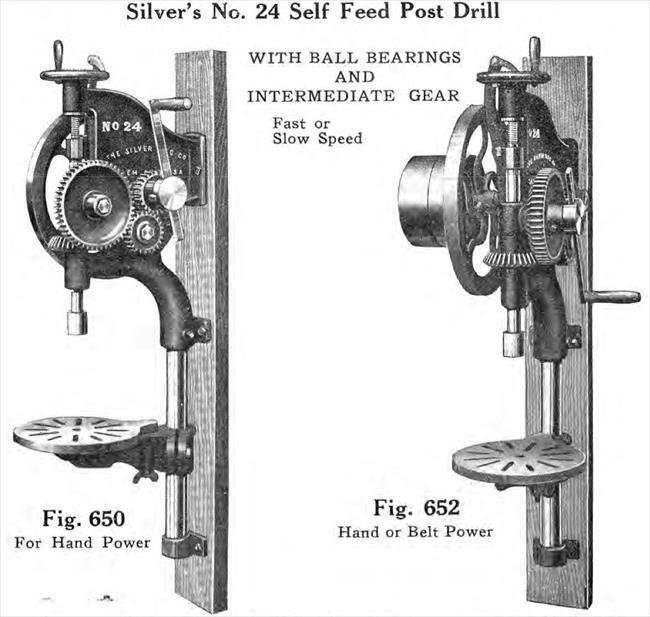 24 was the biggest, most complex and most expensive post drill in Silver's 1911 catalog. 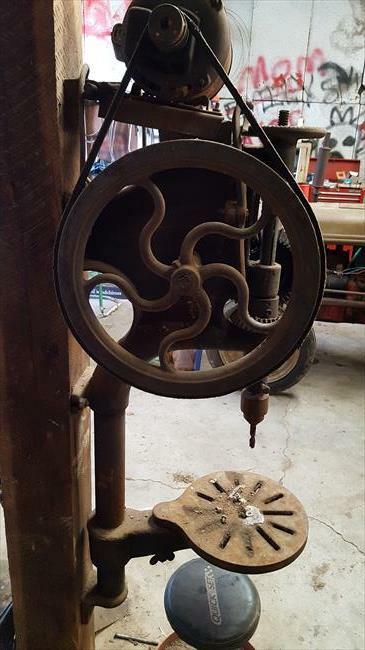 It could drill to the center of a 22-inch circle. By 1916 a bigger post drill that was offered (see Photo 6, below). 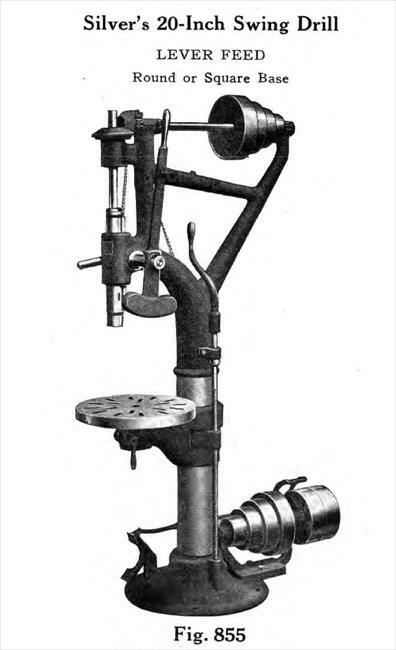 This new model was a sort of a hybrid between a traditional post drill and a column mounted drill press (compare Photo 6 to the column-mounted drill press shown in Photo 5). That new model was strictly line-shaft powered whereas the No. 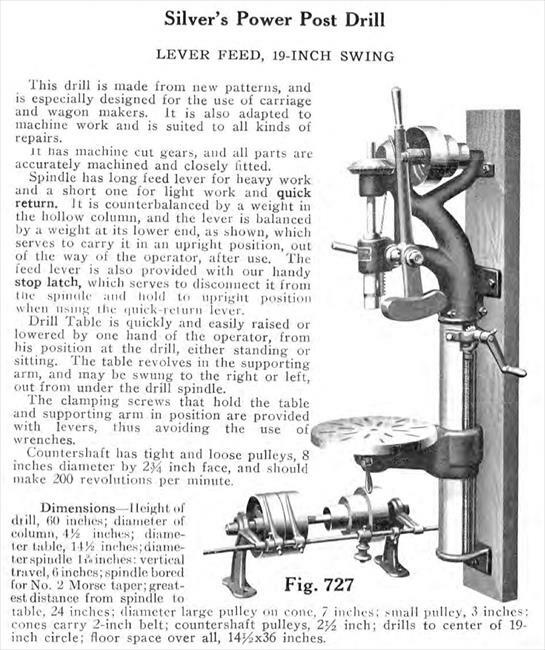 24 was available either with a hand crank or with both a hand crank and a line-shaft tight/loose pulley setup. 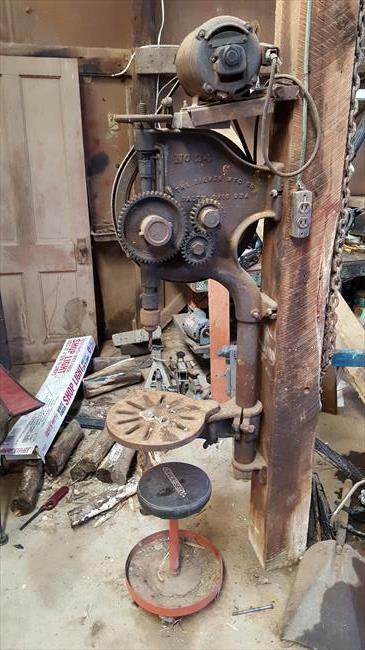 Joe's drill has been modified to include a motor connected by a vee belt. The hand crank has been removed.